Excicata identificada por R. Cabrera. Foto: Yusimí Alfonso..
Hawaii; scale 1 mm. 01 Jul 2011. J.M. Huisman. © J.M. Huisman. Dampier Archipelago, Western Australia.. John Huisman. © John Huisman (j.huisman@murdoch.edu.au). The type species (lectotype) of the genus Liagora is Liagora viscida (Forsskål) C.Agardh. Adjective (Latin), ?like a wild parsnip. 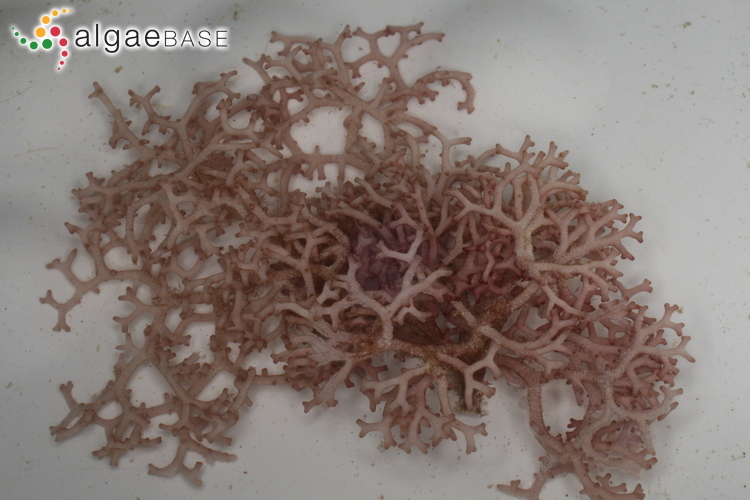 From intertidal pools to 27 m depth, epilithic on Lobophora variegata; widespread in tropical seas (Huisman 2006: 61). Type locality: St Thomas, Virgin Islands (Huisman 2006: 61). Type: CN (Abbott 1990: fig. 12). Abbott, I.A. (1990). 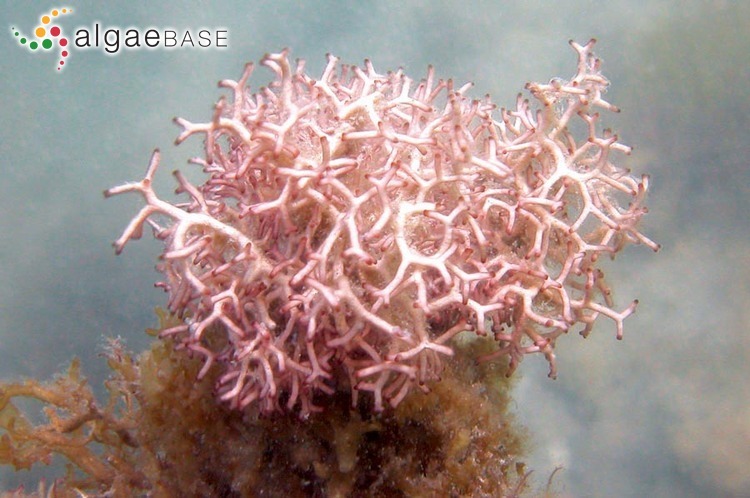 A taxonomic and nomenclatural assessment of the species of Liagora (Rhodophyta, Nemaliales) in the herbarium of Lamouroux. Cryptogamie, Algologie 11: 111-136, 29 figs. Huisman, J.M. & Lin, S.-M. (2018). Liagoraceae. In: Algae of Australia. 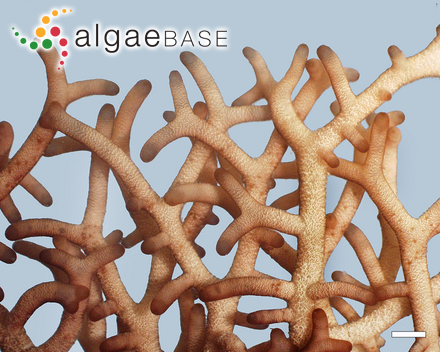 Marine benthic algae of north-western Australia. 2. 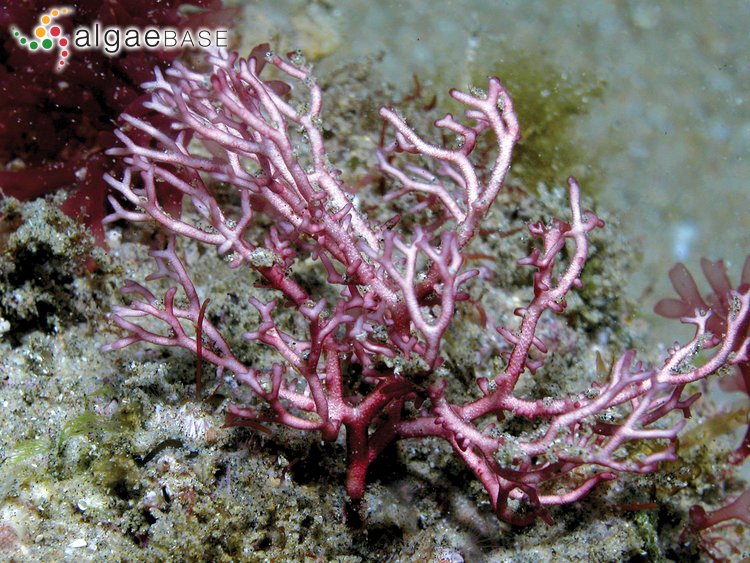 Red algae. (Huisman, J.M. Eds), pp. 49-76. Canberra & Melbourne: ABRS & CSIRO Publishing. Huisman, J.M. (2006). Liagora. In: Algae of Australia Nemaliales. (Huisman, J.M. Eds), pp. 56-76. Canberra: Australian Biological Resources Study. Lin, S.-M., Huisman, J.M. & Payri, C. (2013). 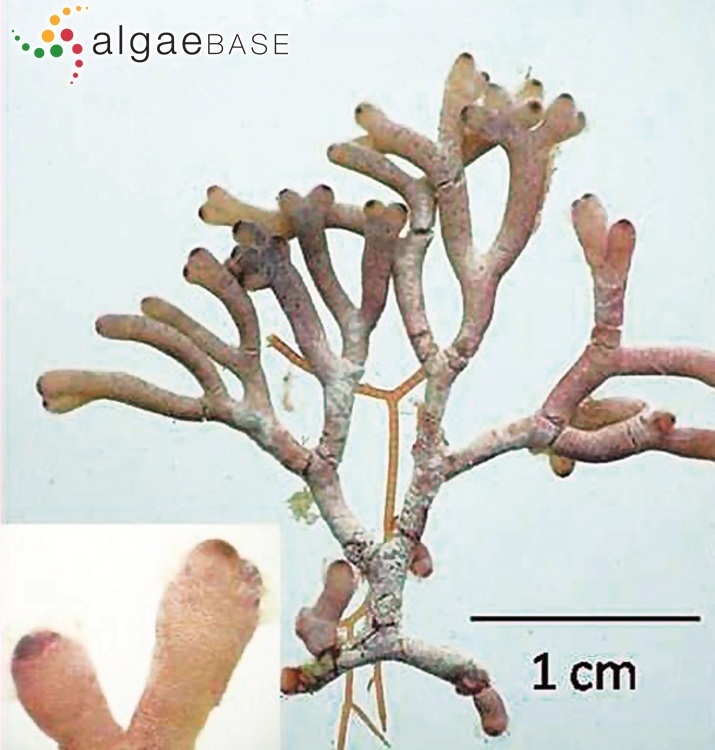 Characterization of Liagora ceranoides (Liagoraceae, Rhodophyta) on the basis of rbcL sequence analyses and carposporophyte development, including Yoshizakia indopacifica gen. et sp. nov. from the Indo-Pacific region. Phycologia 52(2): 161-170. Nunes, J.M. de C. (2005). 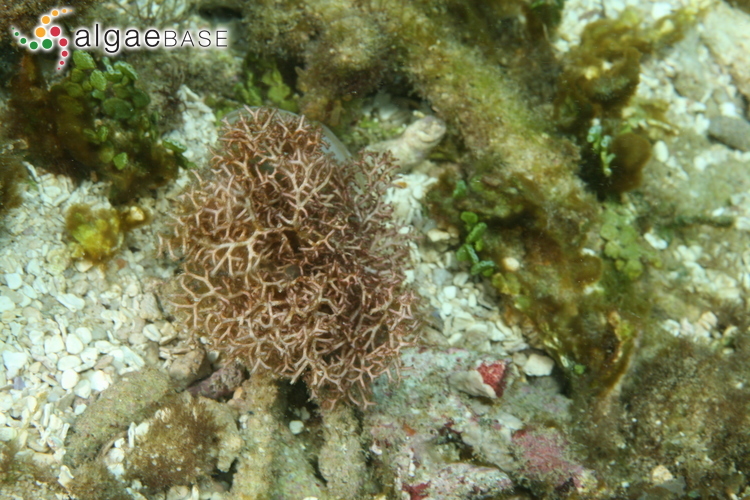 A família Liagoraceae (Rhodophyta, Nemaliales) no estado da Bahia, Brasil. Hoehnea 32(3): 429-444. Thida Nyunt & Soe-Htun, U. (2014). A revision on morphotaxonomy and phytogeographical distribution of the genus Galaxaura Lamouroux (Nemaliales, Rhodophyta) from Myanmar. Mawlamyine University Research Journal 5(1): [1-11]. Accesses: This record has been accessed by users 6732 times since it was created. Brodie, J. & Norris, J.N. (1992). 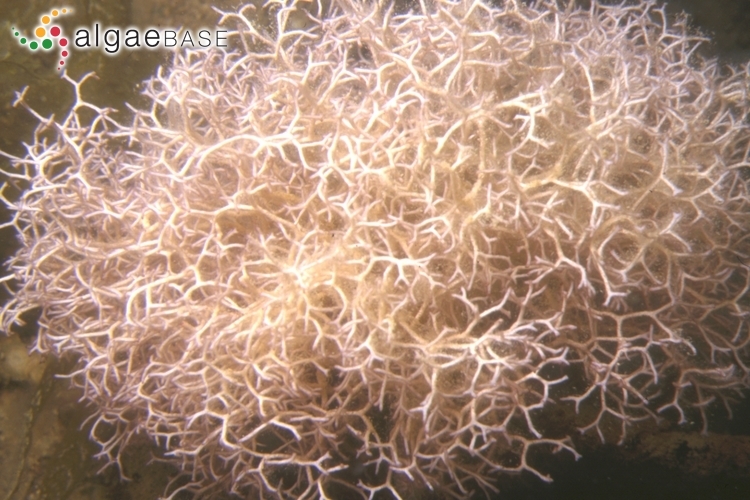 Life history and morphology of Liagora aff. 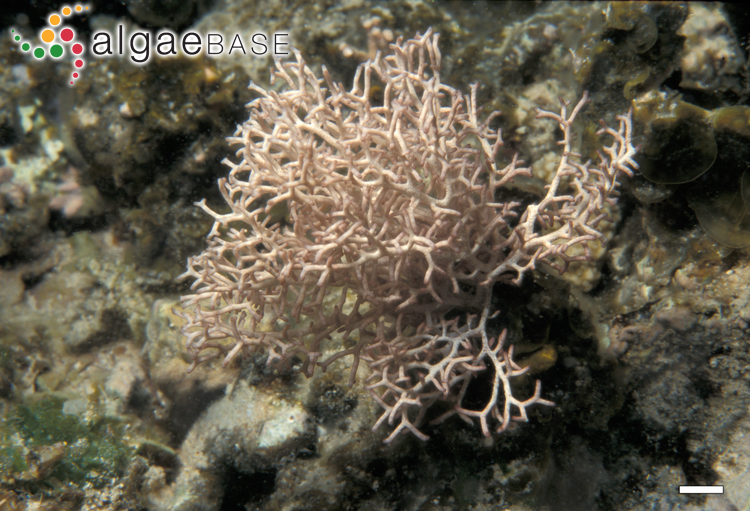 ceranoides (Liagoraceae, Rhodophyta) fom the Florida Keys. Phycologia 31: 419-430.